TGIF dear reader! As I type I see snow covering the ground. We have been enjoying the past weeks without snow, and hopefully this one doesn't stay either. It has been a while since I had friends come over for card making. Well, we're going to have one tonight! This is going to be fun. I'll definitely be posting some pictures. But for the meantime, let me share with you another card set I made with the snow/winter theme. 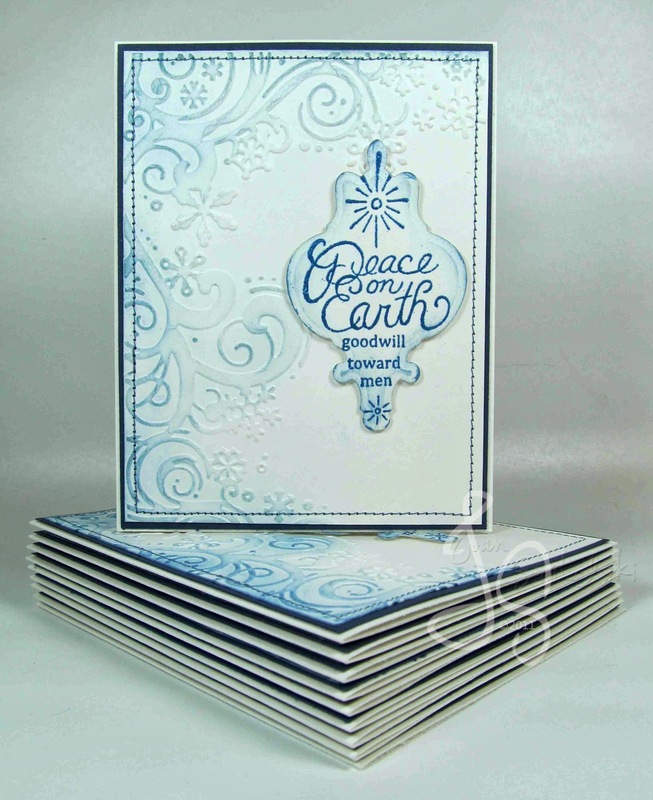 This embossing folder by Cuttlebug is definitely one of my Christmas-themed embossing folders. 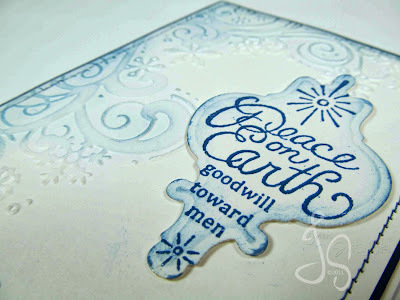 It's also my first time to use the Peace On Earth stamp set by Heartfelt Creations. They made a matching Spellbinders die called Holly Ornament to go with. You make lovely cards. You should stop by StampTv and do some of their challenges. 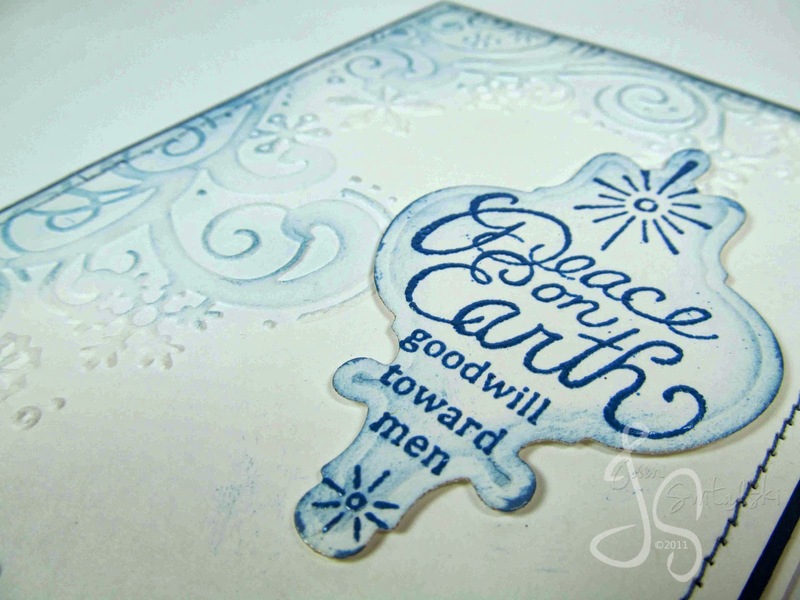 They give stamp sets away and since you are a stamper, you would fit right in there with us.